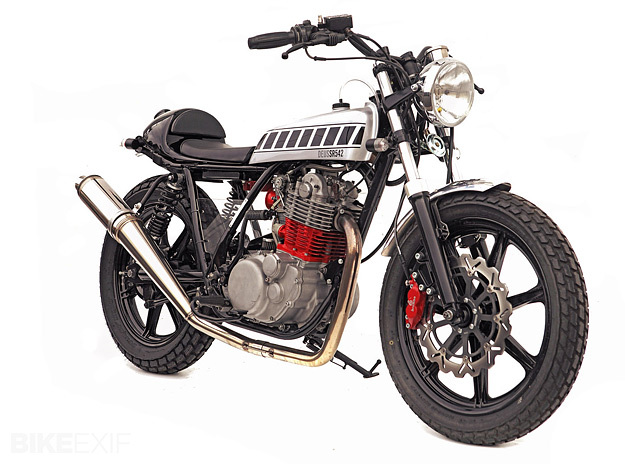 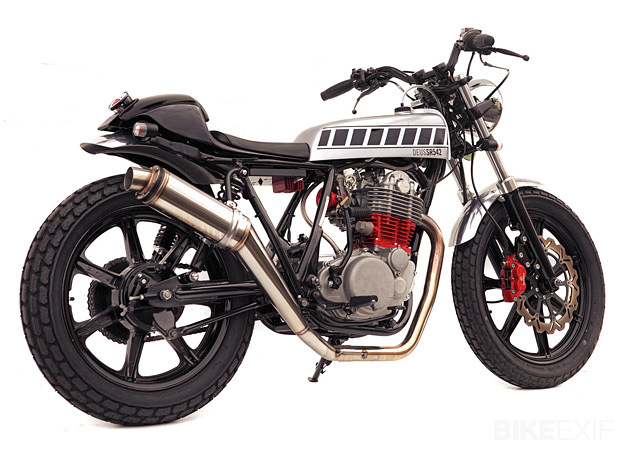 I bet it sounds good: the stock 499cc air-cooled motor has been punched out to 542cc and blueprinted by local guru Carl Batey of Cafe Racer—a man who learnt much of his trade at Moriwaki in Japan. 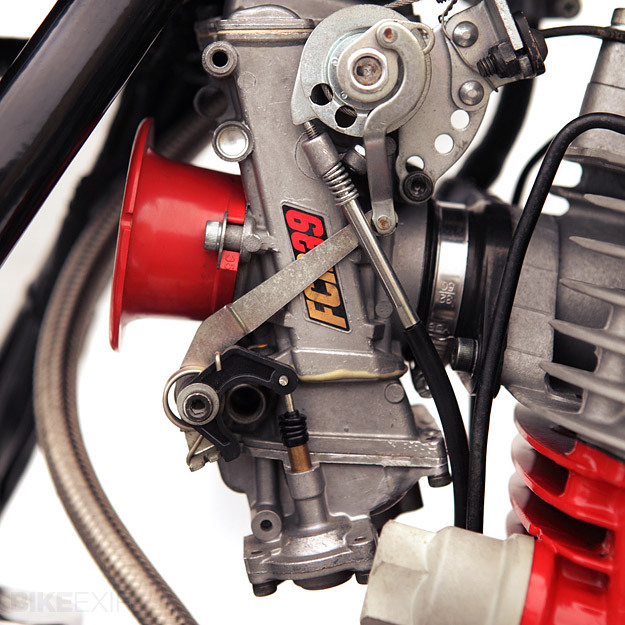 A Carrillo rod keeps things together at high revs, with fuelling coming from a gorgeous Keihin FCR39 carb. 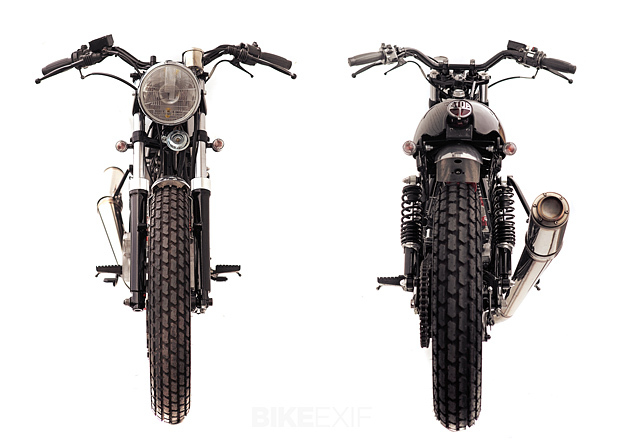 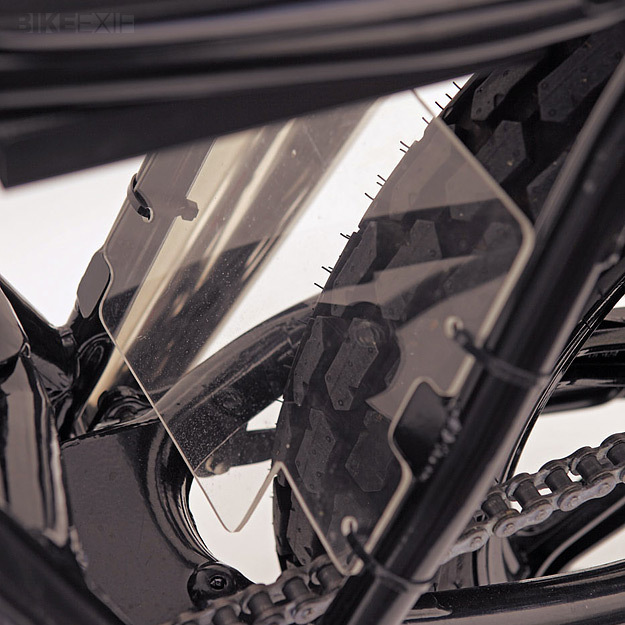 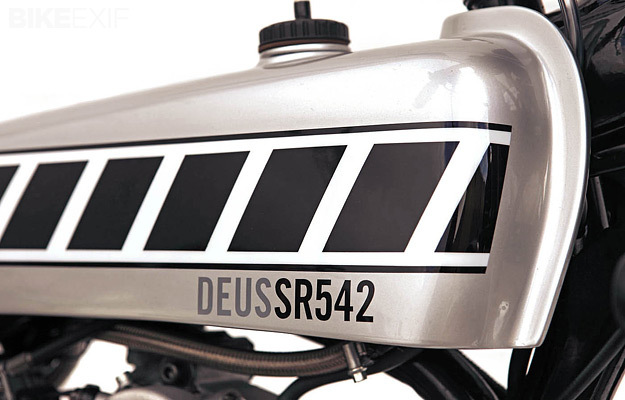 The rest of the bike shows Deus’ typical attention to detail, with splashes of red paint, intricate decal work and even a clear Perspex splashguard in front of the back wheel.